Craggy Range is a family owned winery established in 1998. 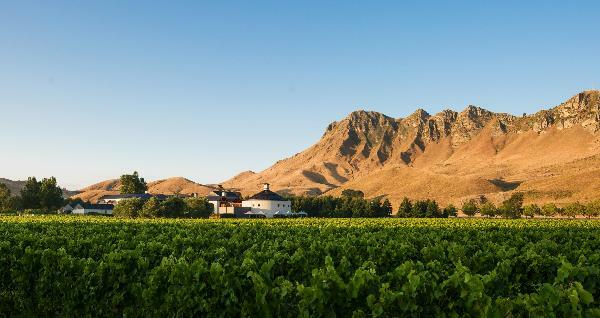 It is situated in the shadow of the spectacular Te Mata Peak in the premium wine growing area of Hawkes Bay, New Zealand. The winery produces a portfolio of quality wines including the iconic Prestige, Family and Appellation collections, as well as Limited Editions all reflecting the place and the people. The grapes, grown in exceptional winery-owned New Zealand estate vineyards in Hawke’s Bay, Martinborough and Marlborough are selected for their special soils and unique climates producing wines with of character and complexity. The Cellar Door, located at Giants Winery in Havelock North, is a breath-taking setting in which to taste a selection of Craggy Range wines. Our experienced staff will take you through a tasting of the latest release wines and talk you through our great estates and winemaking philosophy. The Craggy Range Lodge The Lodge at Craggy Range is New Zealand's ultimate luxury winery experience located at Giants Winery in the premium winegrowing area of Hawke's Bay. The Vineyard Cottages The Vineyard Cottages offer boutique accommodation with either 1 or 2 bedrooms, each with their own private terrace overlooking the vineyard. The cottages have well-appointed kitchens and living areas, all with free-standing wood burners to keep you warm amongst the vines.